To help us find the best solution for your needs, please click on the document on the right. Our salesroom is barrier-free. Parking spaces for cars and caravans are available in the driveway. 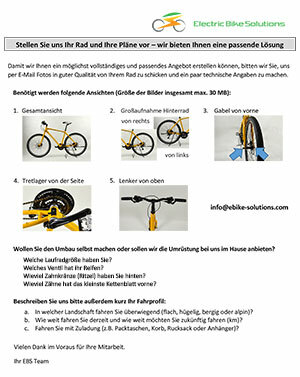 Do you have questions about Pedelecs or E-Bikes? If you have any further questions, please feel free to contact us by e-mail or telephone.